Tonight, ninety-nine years to this day, occurred the October Revolution. What are the optimal conditions for revolution? If asked this question, most Marxists would probably point to a strong, militant working class, an exploitive bourgeoisie to revolt against, and perhaps a period of warfare or hardship to initiate suffering of a kind sufficient to spark rebellion. There’s reason behind this, for these were the conditions imagined by Karl Marx himself, which were present prior to many revolutions throughout the nineteenth and twentieth century, from the Paris Commune in France to the 26th July Movement in Cuba. However, whilst I wouldn’t argue with any of these ideas proposed, I believe that it’s worth considering the question from other perspectives, for the circumstances of class and society are only the social conditions desired; they ignore whatever role the natural world may have in this process. Though it may seem unlikely, evidence does suggest that our environment shapes our behaviour in a variety of odd ways, even creating circumstances where riots, rebellions and thus even revolutions are more likely to occur. It is known, for example, that rioting is more likely to occur in Summer, when the air temperature is hotter and the population more agitated. An example would be the London Riots of 2011, which took place primarily in the summertime as a reaction against police violence. Now, whilst short-lived and not in any way successful, it was a movement of considerable significance; not only was the wave of aggression a large-scale revolt which gained attention nationwide, but it was even thought as revolutionary by certain people on the left. Yet what happened when the season turned? The tensions cooled off with the weather, and the spirit of rebellion went out like a lightbulb. Whilst these all effectively demonstrate how the weather can affect behaviour in this way, they are only one of multiple instances, for the coincidence of rebellion and hot weather is seen throughout history; the English Civil War broke out in the summer, just like the war in former-Yugoslav Slovenia, and the Tambov Rebellion in Soviet Russia. Perhaps the best exemplary country would be France, which has experienced much violence and revolutionary action in the past three centuries – a great deal in the summer months – from the Storming of the Bastille and the June Revolution to the events in Paris in 1968. And though the revolutionary or rebellious movements in England, France and Russia and Yugoslavia don’t have a great deal in common, all follow a similar pattern, suggesting some correlation between hot weather and dissidence. Obviously, this tendency isn’t consistent (the Russian October Revolution, for example, occurred at night during late autumn in a particularly cold part of the world) but it nonetheless supports the idea that a correlation exists. Yet it isn’t just the weather, for various other occurrences in the natural world may actually contribute to the likelihood of revolution, an example of which being the evidence that suggests crime is increased by the full moon. Two theories I’ve read suggest this to be because more people are out on the streets during the bright nights it provides, or possibly because the sky is lighter, making criminal behaviour more likely. It could also be a random correlation with the moon having no actual role in stirring up criminal or rebellious behaviour, but it’s worth considering. If it helps, the October Revolution occurred on the night of a bright moon, as did the spontaneous violence of Kristallnacht in Germany and the SA’s rampage that sparked the Night of the Long Knives. 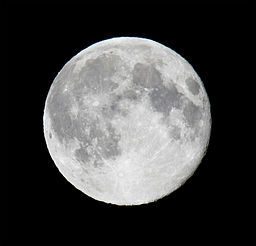 The BBC News also stated that various police departments have despatched more officers on full moon nights, in anticipation of increased criminal activity. Revolution by moonlight… how romantic! Many other factors will undoubtedly be involved, but take these as an introduction, a brief outline of the natural world’s effect on revolutionary activity. It goes without saying that the social conditions, of class, suffering and oppression are far more important and far more likely to spark any kind of uprising, but it’s worth bearing in mind that the right lighting and climate, alongside additional variables, may assist the rebellious cause. So, next time you’re planning on initiating revolutionary war on capitalism, remember to plan the uprising during the summer months, and in case the struggle continues through the night, pick a time with the moon’s full. After all, if the conditions around them were different, many key failures in military history may have been successful. Unlike specific doctrines or philosophies such as Leninism, or perhaps Marxism in general, Trotskyism has no one definition – it is simply a collection of the ideas and theories put forward by Leon Trotsky. However, whilst perhaps not as easy to summarise as the ideas of Marx and Lenin, they are by no means insignificant, for Trotsky’s followers founded one of the two key movements which worked to redefine twentieth-century communism; alongside the Stalinist interpretation of Soviet-style Marxism (which later developed into Marxism-Leninism) Trotskyism split communism in two, forcing Marxists everywhere to take sides. Recently, I decided that I, myself am a Trotskyist, this being the inspiration for today’s post. For a long while I’d thought of myself as somewhere to the left of Marxism-Leninism, so I was looking closely at tendencies such as left communism, ultra-leftism and Trotskyism to try and determine which category I fell into, at which point I decided that my views represented Trotsky’s ideas more closely than anybody else’s. Given that I’ve written several paragraphs on the such ideas, you may wonder why exactly I’ve chosen to do this, or what relevance they have today that would make writing about them worthwhile. I’ll answer this in a short while – first, I think it’s important to understand them from a historical perspective, allowing us to comprehend their development in society. This says it all: Trotskyism has a bad name. Ever since such ‘strangulation’ the idea had developed taboo connotations, even becoming an insult among communists. As a result, the number of Trotskyist movements is relatively small, and was probably even smaller in the days of the USSR. Following his departure from Soviet politics, Trotsky was the great outcast, the traitor, the enemy of the Soviet regime, and any of his followers were inevitably handed the same label. Not surprisingly, then, no socialist states have arisen in accordance with Trotsky’s views or theories, and the few who adhere to such have been forced to get their word across through whatever tactics are available, such as electoral participation or entryism (a good example of the latter being Militant, a Trotskyist organisation in Britain working within the Labour Party throughout the 1970s and 80s). In other words, it would appear that Trotskyism, for the most part, died with Leon Trotsky. So, coming back to the question of relevance, it may seem to be the case that these theories, written over seventy years ago and only partially developed since, are far from relevant; one might be inclined to take the view that it was an ideology rooted out of the communist movement long ago, which has since been rejected worldwide, and even today is still on the side-lines of leftist politics. After all, Stalinism aside, who’s to say that there wasn’t a rationale behind Trotskyism’s rejection? I, however, would disagree, and would take the view that time has actually helped prove Trotsky correct, an example of this being the fact that his ideas are centred on a criticism of the Soviet system (or rather the Soviet system as Stalin had modelled it) and thus they deserve at least some credit, purely due to the fact that the Soviet Union collapsed. I’d see it like this: Socialism in One Country, the policy which, originally adopted under Stalin, influenced the country henceforth, halted efforts to spread the revolution beyond national boundaries. Thus the USSR, like its European satellite states, was left with no option but to try and cultivate socialism from within, which led to stagnation, corruption, and ultimately, failure. I believe that this is proof, or at least hard evidence, that Socialism in One Country is impossible, thus making Trotsky’s argument especially perceptive. Obviously, I don’t mean to argue that Trotsky’s word was entirely unfalsified – that would be counter-scientific and thus contrary to the spirit of Marxism –, and he did create work that was also proven inaccurate, but I do believe that his ideas and his contributions to Marxist philosophy are worthy of recognition, and, what’s more, worthy of consideration today. In a world with no Soviet Union, after the fall of Stalinist communism, today’s Marxists definitely need to start searching for alternative solutions. I’d say it’s about time, nearly a century after they were first discarded, to rediscover these theories left on history’s mantelpiece. The very notion of communism conjures up images of the Siberian tundra, the Berlin Wall, the Moscow skyline, perhaps, against the background of the Soviet flag; images of interpretations in Europe and Asia. Obviously, smaller states existed in the memory of society, probably helped by events such as the Cuban Missile Crisis or the Vietnam War, but there is one area of the world easy to miss: Africa. What you may not realise is that, whilst as a continent, post-colonial Africa was not allied with any power-block in the way that eastern or western Europe was, it was nonetheless home to multiple communists and communist regimes, from Ethiopia to Angola. Stories that tend to accompany communist history, of heroes, of struggle, yet also of terror and coercion, all exist within the continent, yet in the grand scheme of things, the African reds seem to have been largely ignored. This may be due to the fact that communism was perhaps not a truly established movement in Africa, rather a reaction to colonialism, and a manner of political thought that resulted from an alliance with the Eastern Block in the need to take a side during the Cold War. Additionally, the fact that comparatively few communist states existed in the world’s second-largest continent has undoubtedly contributed, alongside the actuality that none of them have made a significant appearance on the international stage in the way that Cuba or Vietnam have. Nonetheless, we certainly can’t ignore the millions of lives changed by the regimes established in the region, nor can we forget the dedicated Marxists among the African nationalists and anti-colonialists, who fought for the sake of proletarian justice from the start. This is the reason why I’ve decided to write about the movement, but mainly the people who comprised this movement, of proletarian struggle across the continent. Here is a brief insight into the lives and achievements of three African revolutionaries, each of whom, for better or for worse, transformed their country dramatically. Leader of the Burkina Faso from 1983 – 1987, Thomas Isidore Noël Sankara was a dedicated Marxist and an advocate of Pan-Africanism. Sankara rose to the position of president on the 4th August, 1983, after a successful coup d’état, and led the country until his assassination after a counter-revolutionary insurgency. Whilst only in power for the duration of four years, he installed many virtues in the country through his policies, combatting pressing economic, but also social issues which still stand today. Though Sankara’s family wanted him to become a catholic priest, he embarked on a career in the military from the age of nineteen, before fighting in a border war between Mali and Upper Volta (Burkina Faso). Shortly after, he rose to the position of commander, at which point in time he met Blaise Compaoré in Morrocco. 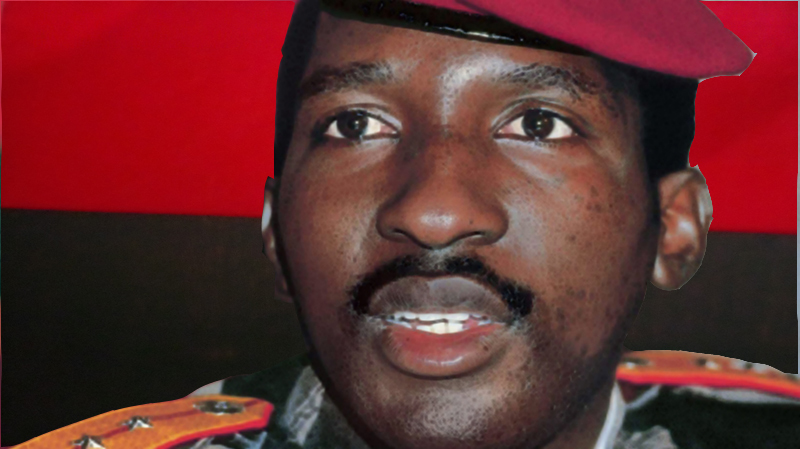 Together, along with several other officers, Sankara and Compaoré formed the secret organisation known as the ‘Communist Officers Group’. It could be argued that his communist associations could be as a result of the uprisings and populist movement he had witnessed while training for service in Madagascar. Sankara first served as Secretary of State for Information in the country’s military government, and later Prime Minister, under new leadership brought to power by an insurgency. He was later dismissed, however, and lived under house arrest after what ‘THOMAS SANKARA WEBSITE’ states was a ‘visit by the French president’s son and African affairs adviser Jean-Christophe Mitterrand’. His arrest, along with the arrest of other officials, sparked a popular revolt. It is thus understandable why the insurgency that brought him to power that August was conducted. As president, Sankara did much for the benefit of the country, waging a determined struggle against corruption (he changed the country’s name from Upper Volta to Burkina Faso, the translation of ‘Land of Incorruptible People’), promoting women’s rights and prioritising health and education. Influenced by Fidel Castro, he viewed himself as a true revolutionary, and clear associations can be drawn between his policies and that of other Marxist leaders, such as his establishment of the Committees for the Defence of the Revolution. Thomas Sankara was assassinated in 1987 in the aftermath of the coup which robbed him of his power, but nonetheless remains an iconic figure in the country’s history, and the history of Marxism as a whole. Like Sankara, Mengistu served as an officer before taking power, participating in a military junta against Ethiopia emperor Haile Selassie. He was, apparently, relatively obscure when he and his fellow comrades seized power in the nation, forming the Dergue regime, one of military rule orientated towards communism. Three years later, after a power struggle, Mengistu not only rose to significance but took control of the Dergue. From that moment on, his true mercilessness was unveiled in his policies, which showed no compromise to those who opposed him. He once had an officer shot simply because they expressed a desire to make peace with the small, independence-seeking province of Eritrea. Mengistu also embarked on a programme known as the Red Terror, which, according to the leader’s profile on BBC News: Africa, ‘killed thousands of intellectuals, professionals, and other perceived opponents of socialism’. Maintaining an ambition to transform the country into a communist state orientated towards Stalinism, he developed an alliance with the USSR. In Ethiopia’s war with Somalia, the Soviet Union, Cuba, and East Germany each assisted the country, leading to its military victory. Military support aside, however, Mengistu apparently relied on the Soviet Union to drive Ethiopia’s economy for some time, and it is certainly questionable how long his regime would have survived without the support of others. 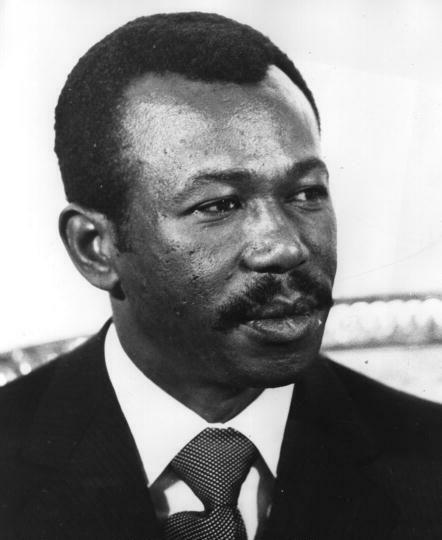 In the year of 1991 (also the year in which the USSR collapsed) an oppositional military advancement was made on his government in the capital, Addis Ababa, and Mengistu fled the country alongside other officials and family members, finding asylum in Zimbabwe. Though being charged by the Ethiopian government of killing almost 2,000 individuals, he still lives in what are believed to be luxurious cirumstances today. Ethopia demands his extradition, though Zimbabwe, under Robert Mugabe (a similar character), won’t cooperate. Is it surprising to see Mandela’s name on this list? I was certainly surprised when I first heard of his communist associations. I question-marked his name as I wasn’t quite sure (it’s very difficult to be ‘quite sure’), but there is certainly sufficient evidence pointing towards the notion that Mandela was not just a freedom fighter against the Apartheid regime, but also an advocate of a socialist South Africa. In relation to Mandela himself, it is worth noting that he himself was a member of the South African Communist Party. 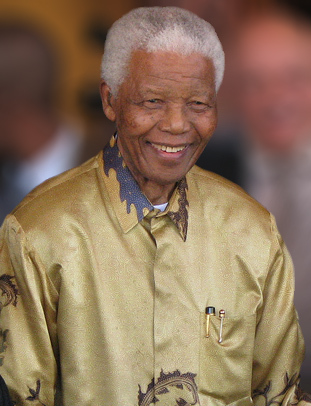 Alex Newman’s article in the World News section of the New American states that the party admitted the freedom fighter’s role, referring to him as ‘Comrade’ Mandela. 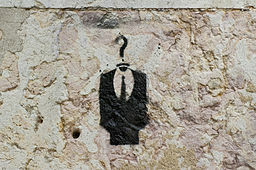 This may not necessarily point to a conclusion (Bill Keller explained in the previous article that his membership in the party and affiliation with radical communists ‘say less about his ideology than about his pragmatism.’), but it does suggest that there is more to the man, who is regarded as a hero throughout the capitalist west, than meets the eye. About a century ago, the majority of the British population earned their bread by toiling long hours in the factories, only just able to keep themselves afloat, under the grasp of the obscenely-wealthy bourgeois. Where disaffection would appear commonplace and poverty was accepted as the standard, proletarian rebellion, even communist revolution on the streets of Manchester or East London would seem entirely possible. So much so, in fact, that Marx himself regarded England as the most likely candidate for such a revolution to occur. Today, the small island off the North-western coast of Europe is certainly a changed one. The traditional image of the London Docklands as a sprawling mass of smog-ridden factories has been replaced by that of an economically-prosperous, market-thriving metropolis. The prospects of socialist revolution today may seem a ridiculous idea, but recently, a whole new wave of ‘revolutionary’ populism has arisen. Who are these twenty-first century revolutionaries? And, more importantly, who exactly are they fighting for? Russell Brand, the actor and comedian recently ranked the fourth most influential thinker by Prospect magazine, has become a voice of revolution in the United Kingdom, an idea that attracts many. Leftist culture among the student population has always been present, yet today it seems that radical ideas have taken a turn worth mentioning. Now, individuals like Brand alongside ‘Anonymous’, a network of associated activists, have taken to protest and public demonstration. Against what, it isn’t always clear, but their broadly liberal and socialist aims seem to point to something larger than their cause, this being a general shift in attitude, with radicalism starting to make a slow reappearance in the country. As I’ve previously mentioned, our capitalist enterprise was, not so long ago, a worker-dominant state under the shackles of the capitalist giants. Such a transformation, from this situation to the present one, was made peacefully, during the process of ‘de-industrialisation’ which the country has experienced. These demonstrations, however, are small reminders that the revolutionary culture has not deserted society. And of course, every revolution needs a target, so once again we are forced to realise that the achievement of human rights, liberty, and justice for the oppressed in Britain, is by no means complete. Yet should it be the task of Russell Brand and all the alike to complete it? I recently came across an organisation in the UK known as the Revolutionary Communist Group (RCG), who, in a video, pointed out that the Labour Party has betrayed socialism and no longer represents the working class as a whole. Now, this ‘revolutionary’ movement has embraced populism in a similar manner, and it’s just a case of whether or not they will do justice for those they represent. Today, I don’t feel I need to spend a great deal of time discussing why the Labour Party in Britain have turned their back on true leftism, an issue on which I agree with the RCG. Will the new branch of ‘revolutionaries’ do the same? Judging by their superficiality, their lack of direction or dogmatism, and their somewhat casual attitude towards the revoution, I’d say so. Whilst ‘the Labour Party clearly demonstrates such misrepresentation, I believe it’s only one example; whilst Britain has been entirely transformed over the past century, it seems those who truly deserve justice have simply been transferred from one manner of life to the next, with their political and social representation taken care of by those above them in the economic pecking order. If anybody wants to see a difference made to British society similar to that which these liberal and socialist organisations advocate, this must change. Revolution must lose its superficially-attractive shine, and activism will take on genuinely-motivated qualities. Though I don’t necessarily believe members of other classes cannot partake in or assist the socialist movement (if this was the case, how would movements such as the Bolsheviks in Russia have managed to seize power? ), we could learn a lesson from Karl Marx, who stated that ‘the emancipation of the working class must be the work of the working class itself’. If such an idea was applied in Britain, real change might just occur. Since everything I’ve posted so far is fairly dense, I thought I’d post something slightly more light-hearted. 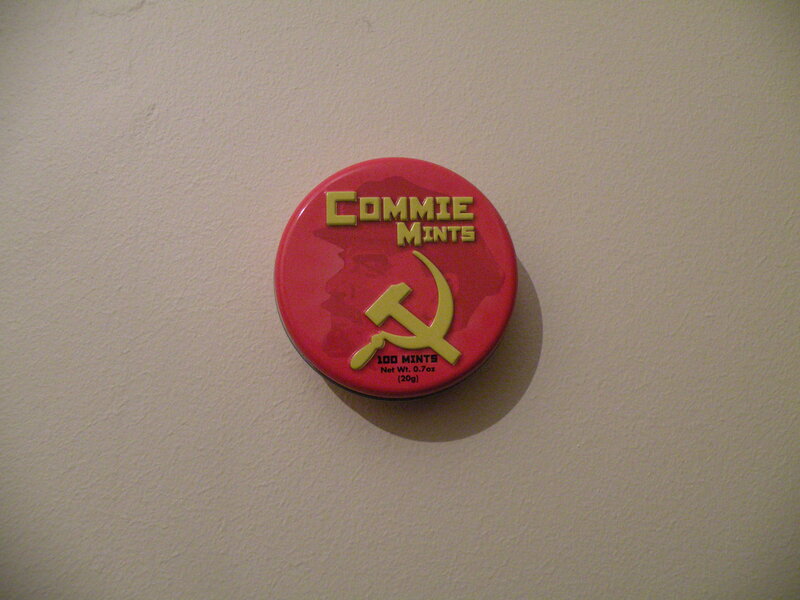 It would make a perfect opportunity, I’ve decided, to address an issue that’s been on my mind lately: if communism exists to dismantle the capitalist mode of production, and tear down every corporate empire on the face of the earth, then when and why has communist imagery found its way into the market? 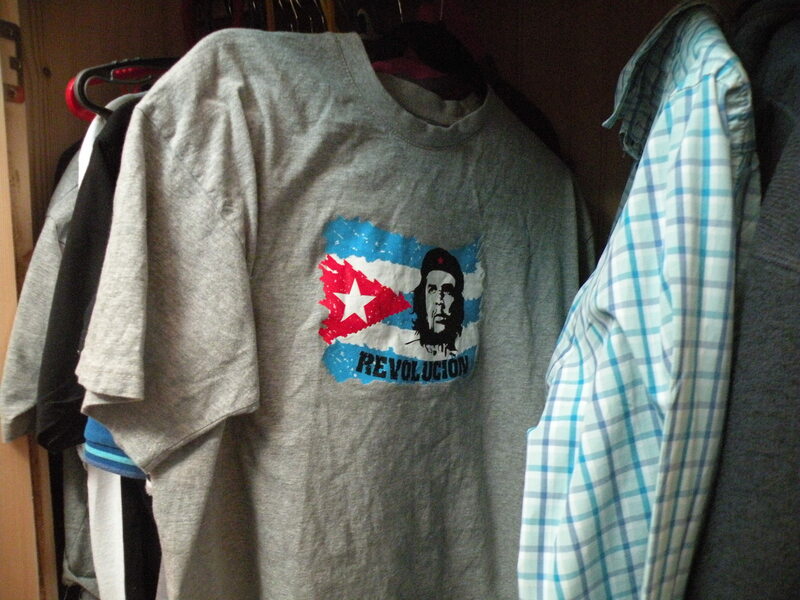 The jokes surrounding Che Guevara T-shirts are an example of the extent to which this is happening, yet the printing and selling of these T-shirts, whilst perhaps so, well, blatantly wrong to have attracted attention, is not the only example. The market today is full of these products, from Commie Mints to Maoist messenger bags, and they’re not always where you’d expect. 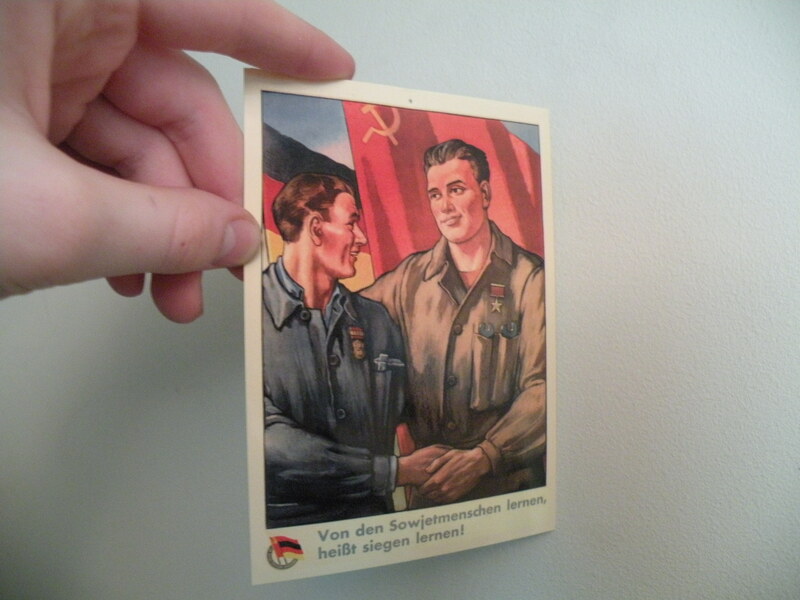 Whilst the postcards shown above were bought from the DDR Museum in Berlin, the T-shirt came from a village market in the south of France, the mints from a branch of the sweet shop Candy Hero. The deliberate commercialisation of such icons is actually just the start, for images such as the red star have been sold in a subtler way, probably without deliberately selling the communist associations it has. It just goes to show the variety of meanings these images can posses, all depending on the person viewing them: even to the extent at which it becomes a corporate branding technique and an icon used by anti-corporatist revolutionaries. 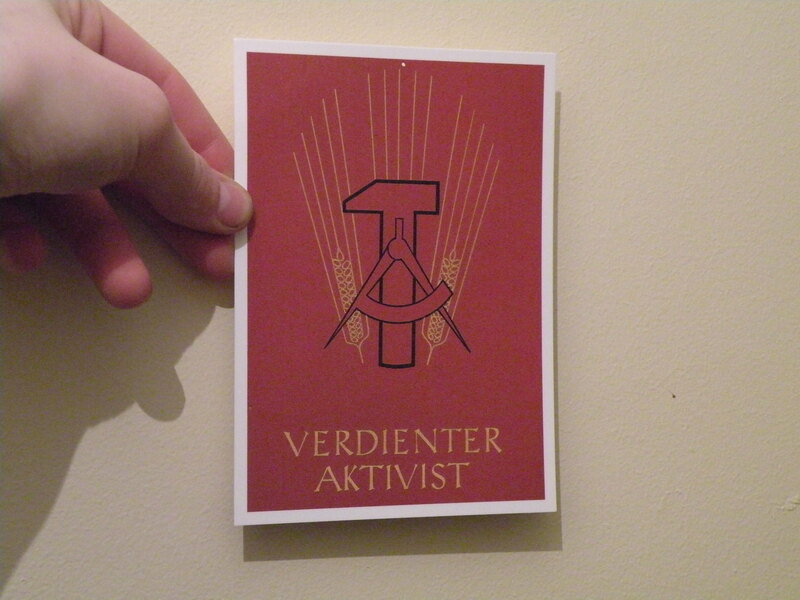 Yet what really puzzles me is how the capitalist world can endorse communist imagery in such a way. Yes, it’s joked about, but not in a way that seems nearly sufficient given what the industry is actually doing. It also seems as if, by promoting the ideas of revolution, even in the shallowest sense possible, the capitalists are advertising the struggle against capitalism itself, yet I think the manufacturers (who would probably rather view themselves as someone simply building their own business and making a living, rather than a link in the global capitalist network) are probably too short-sighted to care. In any case, I certainly believe that whoever has managed to pull this off deserves a reward. Nothing in the communist world, not even the Stalinist regime of terror and political repression, claiming to act in the interests of socialism – and thus humanity – has managed to get away with such blatant irony. Those behind the manufacturing of these products have exemplified something fascinating: they have clearly demonstrated capitalism’s remarkable ability to sell you absolutely anything, even the face of its greatest opposition. 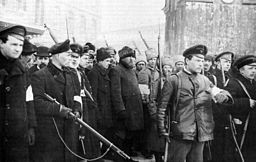 Sunday will mark the 98th anniversary of the Russian February Revolution, as a consequence of which the tsar was overthrown in a flurry of populism, eventually leading to the communist takeover the following October (November in the Gregorian calendar), and the rise of the world’s first socialist state. This is undisputedly one of the greatest moments of the twentieth century, on which so much history rests. The Cold War, the Cuban Missile Crisis, and the division of Germany, for example, would never have occurred had the revolution not taken place, and the same goes for the revolutions in nations like China or Cuba. Had communism surfaced at all, it would have done so in drastically different circumstances, without the theoretical and practical guidance provided by Lenin, Trotsky and Stalin. 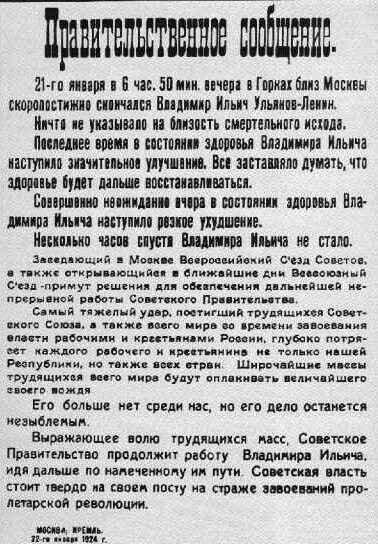 I won’t lie; I’ve been wanting to write about this event since I began posting entries, and now that the anniversary of the occasion is (almost) upon us I have an excuse; I thought, in commemoration of the event, I’d post a short history of the Russian Revolution in nine, condensed stages. Russia was the last Absolute Monarchy in Europe, and, stretching from the Baltic to the Chukchi Sea, the leadership of what Marx referred to ‘the chief of European reaction’ was struggling to maintain power over a steadily modernising population, growing ever more dissatisfied with conditions in the Russian Empire. 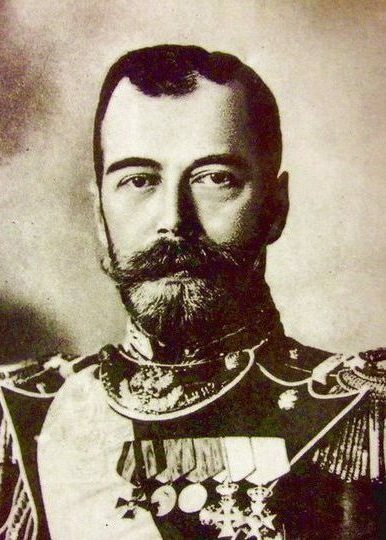 The Romanov family had ruled the country for roughly 300 years, yet Nikolai II’s reign was soon to draw to a close, marking the end of the monarchy altogether. But he wasn’t easily broken; first, he had to endure a great deal of uprisings, protests, and foreign aggression. In the year of 1904, the Russo-Japanese war broke out. Despite Russian military superiority, the conflict resulted in a Japanese victory, w hich coincided with what later became known as the Failed Revolution of 1905. What occurred didn’t gain nearly the significance of the events in 1917, but could well have done, if circumstances were different. One key difference between the revolt of 1905 and that of the February revolution was that the latter had gained the support of the army, whilst the former had not, which could well have been the primary reason why it didn’t achieve what it planned to. In any case, Nikolai watched the revolution’s defeat at the hands of the military, and continued his reign. In order to ease the growing tensions, he signed the October Manifesto, promising change, and thus created the Duma, a legislature which would limit the extent of his power. Nonetheless, he was naturally opposed to reform, and has been quoted to say “I cannot squander a legacy that is not mine to squander.” He may well have only signed the Manifesto in order to prevent a second revolution, which he might have realised would be, as it eventually was, successful. In spite of the reforms following the events of 1905, Romanov could not secure his own autocracy. Perhaps this wouldn’t have been the case if it weren’t for the greatest conflict of the twentieth century: World War One. Personally, I believe that if the army was not subject to such a war, neither the revolutionary movement in February nor the Bolsheviks in October would have gained popularity, or at least not on the massive scale in which this occurred. Having just endured the war with Japan and the Revolution of 1905, and now (as the leader of a nation bound to France and Britain by the Triple Entente) on the brink of a global conflict, Nikolai waged total war, and many suffered as a consequence (the majority of which were peasants, who comprised 85% of the Russian population). Simultaneously, the industrialisation which took place throughout the Russian Empire may have served to Romanov’s disadvantage. The expanding industrial proletariat provided a basis for communism, perhaps directing or at least contributing to Russia’s direction beyond the post-Febuary period, since the Bolsheviks found their bastion of support in the industrial proletariat. Railways were constructed, too, which contributed to the revolutionary cause in an entirely different and unforeseeable way, as the railway and transport lines were seized on the night of the October Revolution. 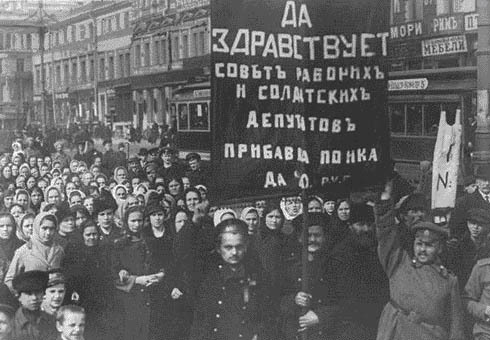 On February 23rd (Julian calendar), many partook in a demonstration in Petrograd (Saint Petersburg), the then-capital of Russia, for International Women’s Day and in protest against bread shortages, an event which was followed by strikes and other protests in the city. Realising that what was unfolding in front of them had the potential of overthrowing the Russian monarchy altogether, the Mensheviks (the moderate wing of the defunct Russian Social Democratic and Labour Party, after the party split into the Bolshevik (‘majority’) and Menshevik (‘minority’) factions), established the Petrograd Soviet. Soviets (elected councils) existed throughout the Russian Empire, but this one’s role was significant; it existed with the intent of directing revolution. Meanwhile, Nikolai was visiting troops on the frontline, and once hearing of the events in Petrograd, ordered his own soldiers to fire upon the crowds of protesters. The real trouble occurred at that moment, as many of the soldiers sympathised more with the crowds than with the tsar, and so joined in, often firing directly at police officers. As he no longer had the support of the army, Nikolai could not quash the revolt, and so abdicated, ending the three-hundred year Romanov dynasty of Russia. 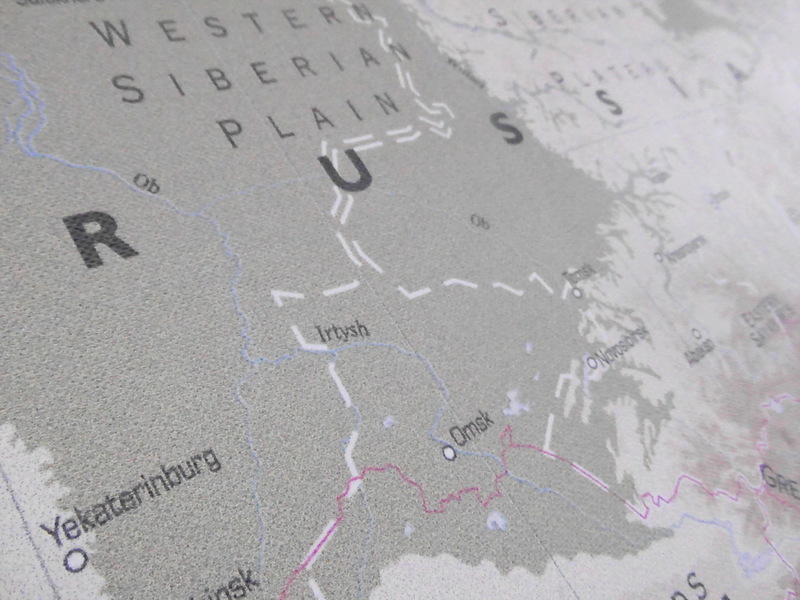 Much happened in the period after the February Revolution that would change Russia forever. The Provisional Government, a temporary parliamentary body comprising many members of the tsar’s former parliament, assumed leadership, but overall power was shared between two movements; after the revolt, Russia entered a period known as Dual power, referring to an effective coalition between the Provisional Government and the Petrograd Soviet. The popular demands were, to some degree, met, yet Dual Power existed only for eight months (before a second revolution was carried out). Nonetheless, the period in which Russia was in such a state marked some of the most dramatic changes seen in the nation’s history. As the New Year progressed, whatever liberal intentions the Provisional Government had were being increasingly balanced by their autocratic and conservative policies. Whilst they declared an amnesty for all political prisoners charged prior to the revolution, they refused both Poland’s and Finland’s appeal for independence. Whilst they addressed the ‘people of the whole world’, stating their demand for peace and calling for an end to the war, they made no efforts to stop the war effort. In fact it was partly the issue of war which worked to determine the government’s fate, which can be seen most clearly when it became known that Russia was promised the straits at the Black Sea’s mouth were she to be militarily victorious, sparking mass street protests. Throughout February, Russia’s future leader watched from a distance. Vladimir Illych Ulyanov, or Lenin, was exiled in Switzerland due to revolutionary activities. There, he would write the April Theses, denouncing an alliance with the Provisional Government and insisting upon a second, socialist revolt, a demand which was to change the face of the revolutionary movement entirely. He returned shortly thereafter, smuggled onto a train to Russia, and from that moment on, he was able to influence Russian politics directly. Another side to the revolution – the radical left -, was about to emerge. Upon his return, the Bolsheviks (the party of which he was the leader) grew massively in numbers. Many workers joined the Bolsheviks without knowledge of the party’s political stance, yet realising the support they would provide for the working people. If it weren’t for the sudden growth in membership across the year, it could be argued that the party would not have the national recognition to successfully take control of the country later that year. Yet as the significance of the Bolsheviks grew, distinguishing the party from the other faces in the revolutionary crowd, the popularity of the Provisional Government declined, which becomes clear in examples like the July Days, when anti-war protesters were fired upon by soldiers under the government’s leadership. What fuelled the protest was the fact that the new Prime Minister Alexander Kerensky had just conducted a failed offensive resulting in the death of roughly twenty thousand Russians. Meanwhile, the other revolutionary parties were divided by the issue of whether to continue fighting Germany, which also worked in Lenin’s favour. The Socialist Revolutionaries, for example, split into Right and Left factions; the Right SR’s, as they became known, supported the war effort whilst the left, who occupied similar ideological ground to the Bolsheviks and would later become their coalition partner, opposed it. Many in the country, after facing years of the misery brought about by external conflict, grew sympathetic towards Lenin’s cause. Come October, the Bolsheviks were a leading party in Russia capable of staging revolution, and it was evident that the Provisional Government didn’t embrace or act on behalf of the populism which brought down the former regime, providing them with a noble cause. Lenin acknowledged the government’s true colours early on, and whilst in Switzerland, (only two months after they assumed power) he stated that there should be no support or alliance with them. Once again, Russian capitalism was about to suffer an equally catastrophic defeat, this time fatally. Two revolutions make up what we know as the ‘1917 Russian Revolution’, one of which occurred in February, the other, in October. The October Revolution is perhaps the most-famous of the two, partly because of its significance in marking the birth of the world’s first socialist state, the Russian Soviet Federative Socialist Republic (RSFSR). As it successfully brought down the Provisional Government, this revolution could be seen to be completing the tasks of February. One key difference between the two, however, was the fact that the October revolution was coordinated; what occurred in February was a popular uprising, which, whilst directed and supported by many parties (specifically the Mensheviks and the Socialist Revolutionaries) it was not sparked or led by any, yet this time, the overthrow of a government took place in the form of an organised coup d’état. On the night of October 25th, or November 6th in the Julian Calendar, the Bolsheviks, Red Guards (soldiers assisting the Bolshevik cause) and Kronstadt sailors stormed Winter Palace, with a shot fired from the ship Aurora serving as the signal. Whilst protected by the Women’s Battalion, the palace was poorly defended, allowing the seizure of power to occur. On the same night, the Bolsheviks took control of railway lines, along with other crucial locations in the city of Petrograd, effectively seizing the capital’s infrastructure. Whilst referred to as the Great October Socialist Revolution, it’s worth noting that the October Revolution was significantly less dramatic or symbolic than what one might imagine it to be. It was almost bloodless, was carried out by only a small handful of devoted revolutionaries, and only in the space of twenty-four hours. Come the following morning, however, the new government which was to last up until Gorbachev’s leadership in the early 1990’s, would take its first breath. Soon after November 6th, the political situation stooped to the level of crisis. 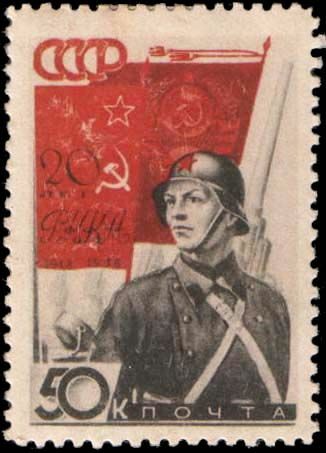 Those who were to form the volunteer armies constituting the Russian ‘White Army’ opposed socialism from the start, yet the Mensheviks and Socialist Revolutionaries, two parties considered to be central in the February revolution and the post-February period, were quickly alienated from Russian socialism, leaving the Bolshevik regime almost subject to collapse. One reason for this was the dissolution of the Constituent Assembly, which omitted the moderate socialists from government. This was a body of elected representatives forming a coalition government, and was created shortly after the October Revolution, when the Russian population participated in what is considered the first ever practice of democracy in the country. It was drafted under Lenin, who had frequently criticised the Provisional Government’s refusal to do so, and thus, when he assumed power, had no choice but to do so himself. The results of the election preceding the Constituent Assembly saw the Bolsheviks receive only a quarter of the vote, despite being the most-popular party among workers and soldiers. The assembly met only once, as it was dissolved by Lenin after the Socialist Revolutionaries (the winners of the election) refused to accept the Bolsheviks’ ideas on issues such as soviet power. As a result of both this and many other unpopular actions committed by the party, alongside the ideological opposition they faced, they soon grew highly unpopular. War broke out almost instantly, and the White Army formed as a voluntary militarist movement fighting against the Bolsheviks. Consequently, the Red Army (founded and led by former Menshevik Leon Trotsky) significantly grew in numbers to the point where it became the largest organ of the state, consuming a desperately large proportion of funds that almost drained the Russian economy. After several years of fighting, the result was a red victory, but how and why this occurred is a more complex matter. A contributing factor is organisation: the Red Army was efficient and well-disciplined, fighting for a communist Russia (under Trotsky’s autocratic leadership, discipline even extended to decimation within the ranks in order to eliminate conspiracy). Meanwhile, the White Army fought for ‘Russia: One and Indivisible’, in other words, the existence of a country along the lines of Orthodox Christianity, operating in a similar fashion to the pre-revolutionary empire. They were largely nationalistic and conservative, sharing similar views on most areas, but, as a voluntary army, they lacked direction and failed to organise themselves sufficiently. On top of this, the Red Army fought for the state, yet existed only as one of multiple state organs. In other words, the Bolsheviks could defeat the Whites through other means. 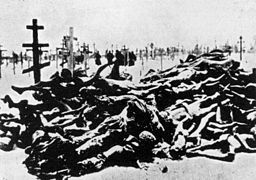 The Cheka (Bolshevik secret police) was one, and the programme it carried out, known as the Red Terror, worked to eliminate dissidence through political terror. Hangings, shootings, and imprisonment were carried out upon the civilian population, in order to fight communism’s enemies before they would rise up against it. In comparison, the White Army carried out the White Terror, yet since their members had to resort to the use of militarism alone, this consisted only of the brutality exemplified by their fighting forces. Whilst bringing about the near-collapse of the Bolshevik regime, the events of this period actually assisted the state in many ways. Namely, it worked to polarise political views, eliminating the moderate socialists who had become alienated from the radical left after October, for the conflict was very much a battle between Reds and Whites. Those occupying the middle ground were either to choose a side, where that of the Red Army (who, at the very least, would fight to defend the revolution), would seem the logical side to take, or they were reduced to insignificance. This was due to multiple reasons, but strategy played a key role: they were less-inclined to resort to brutality, yet couldn’t fight effectively without doing so. Whatever the reasons, they became ever less of a threat as that of radical counter-revolutionaries grew. The economic strategy which the Bolsheviks adopted became known as War Communism, which consisted of a strictly centralised economy, in which commerce was illegalised and all means of production were nationalised. It is unknown whether such a format was introduced in the name of reaching true communism, or as a pragmatic solution to the economic crisis Russia was submerged in. The state’s complete and utter control over all means of production can be seen most clearly in the policy’s effect on the peasantry, which had their grain seized mercilessly in the hope that it would be later repaid. We now know that this wasn’t the case, and in many examples, much of the grain that they relied upon as a food source was used for other purposes with none of it returned. The result of this was a famine in which millions died, and the necessity for intervention by the west (the American Relief Administration was a significant contributor). The implementation of a policy which even banned the word ‘trade’ also gave rise to a fresh wave of state dissidents, and those who refused to hand over their grain were punished. Eventually, the catastrophic effects of the policy were too great, even for Lenin, and a seperate policy was introduced, known as the New Economic Policy (NEP). The fact that such a significant change had been made to the country’s economic system highlights the true nature of War Communism, for Lenin wasn’t somebody to give up, especially when the matter concerned socialism. Yet this matter was different: he recognised that if he was to maintain leadership he would need to adapt to the climate. 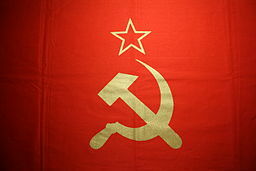 Despite the need to adjust policies, many believed that the NEP was simply a re-introduction of capitalism into the economy, and rejected the idea that the ideas it proposed should be implemented in a communist Russia. Supporting such an argument is the fact that, under the policy, several small businessmen (the NEP men) were able to profit in a manner akin to those in the free-enterprise economy prior to this one. The policy itself was fairly relaxed in comparison, and permitted free-enterprise capitalism to operate on a small scale. Whilst the NEP was mocked as the New Exploitation of the Proletariat, and the introduction of which invited criticism of Lenin by more ‘radical’ communists, it served its purpose in kick-starting the Russian economy, since, at this point, production had dropped lower than in the pre-revolutionary period. Central to the concept of Marxism is the idea of global revolution, and the Bolsheviks recognised this from the start. Thus, their invasions of the neighbouring territories soon followed their rise to power. Ideally, what we recognise as the Soviet Union would only be the starting point, and once communism was established initially it would spread on a worldwide scale, yet of course, a lot can still be learnt by studying what they did manage to achieve. The Soviet Union, or formally, the Union of Soviet Socialist Republics (USSR) consisted initially of Russia and the surrounding states, including modern-day Kazakhstan, Ukraine, and Belarus. The fact that Russia had previously established an empire in the region probably assisted their cause in the invasion; if such an empire had never existed, nationalism (which had been surpressed in these nations during the days of Empire) may well have restricted the Red Army significantly. Nationalism, as a movement, did actually help to compromise the invasion somewhat, for the Bolsheviks were originally opposed to the idea federalism, yet only accumulated the Russian satellite states after drawing borders along those of ethnicities and former nationalities. Nonetheless, the Red Army covered significant ground marching beyond the Russian borders, establishing not only one, but a union of communist states. It is worth noting that whilst it happened to be these states which fell under communist leadership, communism did not enjoy exclusive popularity among the workers of the eastern world. There was a time when a French communist newspaper, L’Humanite was the most widely-read newspaper in the country, when many in the west admired the USSR and the principles on which they stood, and when communist revolutions in countries such as Germany (which did very nearly occur) were not only anticipated but expected. In fact, after the Bolsheviks took power, the proposal to continue the war effort against Germany, with the hope of establishing a revolutionary German state, received four votes when Lenin’s proposal for peace received seven. If this wasn’t the case, or if the European left had pursued a more militant strategy, the borders of the USSR may have been drastically different. Lenin, the leader of the Bolsheviks, died of a stroke in 1924. Just before his death, he wrote a testament, which was, as Trotsky said ‘Lenin’s last advice on how to organise the party leadership.’ One particularly perceptive recommendation he made was that Stalin should be removed from his post within the party ‘to prevent a split’ from occurring; something we know is exactly what happened following his death. Prior to this point, differeces of opinion had organised the party into obvious factions and divisions; moderates such as Rykov had feuded with Lenin on issues, and equally Lenin had feuded with the left on others, yet the party always remained unified, perhaps because they always existed under a common leadership. When that leader died, however, tensions began to surface, becoming evident in the power struggle which followed. It could also be argued that before this point, the Bolsheviks had found themselves in the midst of situations either so dire or so important for any real rivalry to occur. Prior to October, they planned communist revolution and in what manner it would take place. Shortly following their success, Civil War had broken out almost instantaneously, and fighting continued until the years prior to 1924. Naturally, differences of opinion often sparked disagreement and debate, yet the ‘split’ which Lenin had warned of had not yet occurred. Russia took a sudden turn away from reform under Stalin’s leadership: the NEP was replaced by forced collectivisation, and the liberal and progressive attitudes of the Bolshevik party, which legalised homosexuality, abortion, no-fault divorce, and promoted the emancipation of women, were replaced by far more conservative ones. Reliance upon the use of the Gulag network increased, alongside the degree of censorship employed by the party, and authoritarianism seeped into dictatorship as his power increased steadily. The ‘Red Tsar’, as he is sometimes referred to, actually demonstrated a sympathy for the reactionary views of the tsars before him, and on the question of brutality, demonstrated a capability and a passion far greater than any of them. Stalin also took actions which could be seen in contradiction to Marxism, such as the practice of ‘Socialism in One Country’, an idea he proposed in opposition to the Marxist concept of world revolution. Unlike the causes of the initial invasions of the first Soviet Republics, he eventually established the communist states of Eastern Europe as more of a buffer zone than anything else. In what was largely an attempt to consolidate power, the majority of old Bolsheviks were also purged under Stalin’s regime, and his old opponent Trotsky, who was exiled and resided in Mexico, was assassinated alongside most of his family. Stalin’s actions, viewed by the majority of the world with exceptional controversy, gave rise to an ongoing debate as to whether they are the product of Stalinism alone, or the inevitable outcomes of Bolshevism. 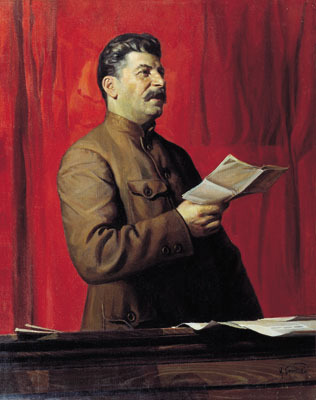 A viewpoint known as the totalitarian model argues that Stalin’s leadership merely exemplifies what communist rule would have unquestionably come to, and that the atrocities for which he is blamed; the terror, the strict economic centralisation, and the rise of the police state, would have been committed by the government regardless of who won the power struggle. The alternate viewpoint – the revisionist model – argues that Stalin alone is responsible for the chaos he caused, that this period of history, a particularly fluid and unpredictable point in time, could have given rise to a completely different form of leadership. After all, the principles that drove Russia to revolution, also the underlying principles of Bolshevism, were not those of authority, order and obedience but freedom and equality. For further reading on the subject, I would recommend ‘The Russian Revolution: A Very Short Introduction’ by Steve Smith.